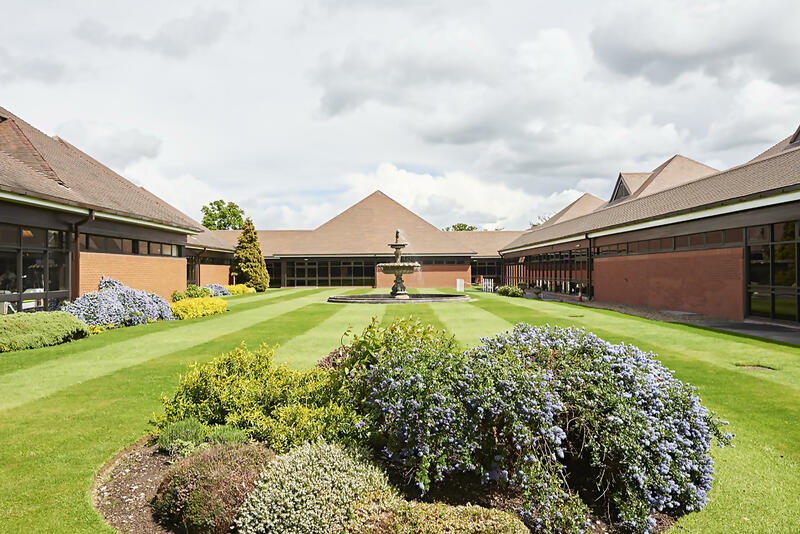 This year’s AGS Annual Conference, previously known as Members’ Day returned to the National Motorcycle Museum, where AGS Members’ Day 2018 took place. As last year’s Members’ Day was so popular with attendees and sponsors, it was an easy decision to return to the same venue. The day was a great success and well attended by nearly 200 delegates. The presentations covered a range of geotechnical and geoenvironmental topics which were well received. All the AGS Working Group Leaders delivered their updates on what they have been working on over the past year. Jonathan Gammon was made an Honorary Member of the AGS during the AGM and Neil Parry presented individuals with awards for their hard work and contribution to the AGS after being nominated by the Working Group Leaders. Special thanks to this year’s speakers; Dr Iain Stewart (University of Plymouth), Chris Swainston (Soils), Mike Plimmer (Geotechnical and Environmental Associates), Patrick Cox (AECOM), Roger Chandler (Keynetix), Steve Walthall, Phil Crowcroft (ERM) and James Macfarlane (Hydrock). Special thanks also to this year’s sponsors. Engineers and infrastructure owners face growing pressure to complete projects: high quality information can improve performance in key areas including safety, programme, environmental impact and cost. Speakers will provide advice on how to commission an effective investigation, highlight technical innovations and provide an overview of methods for land and shallow water sites. getting more from the data – delivering information via online portals for instant shared access, building robust ground models based on multiple data streams. A seminar for professionals and clients interested in reducing ground risk through effective use of geophysical methods. Overview of techniques and innovations. Case studies will include investigation of brownfield sites, ground stratigraphy, structural geology, geohazards and determination of engineering parameters. The event is free of charge to professionals working in the industry and will provide a valuable technical update as well as a great opportunity to network with other asset owners, consultants and contractors. There will be ample opportunity for discussion and interaction with the experts. First Steps has developed a method for bringing STEM at work in construction to the notice of young people choosing their A-levels, and to their parents and teachers; it works like this. Information panels that illustrate aspects of a subject (e.g. ground investigation, geotechnical design, construction, environment etc), and link directly to further information on education and careers in these areas, are inserted into the panels used for site hoardings. Should you be in a position of advising a site owner or developer to include such a panel into their hoarding it may be helpful to know that Considerate Constructors, should they be using one of their Members, has adopted these information panels as their Best Practice. Those facing the prospect of having to use statistics in 2019 will find much needed support through the First Steps Stats Decision Tree more information on this is given at the end of this list. If you are faced with non-linear relationships such as decay functions and the like, and want to linearise them to ease analyses and comprehension, then you will find worked examples and simple instructions here. If you are looking for a jigsaw puzzle with a difference please click here. The price of £9.80 includes shipping within the UK. Here is the additional information mentioned above. Raw data comes in many forms and it is crucial to understand what sort of data you have. The Decision Tree helps you at every step; here is an example from one of its pages. By way of background, data can be described as either discrete or continuous. You may have data of a “Yes or No” type, where only one of two possibilities is recorded. For example: Was the SPT “N” value greater than or less than 25. Yes or No? This is an example of “discrete data”. Then one or more examples are given – this one, for discrete data, is for clinicians. The data can be of a yes – no type where only one of two possibilities for a number of patients is recorded, for example has the patient high blood sugar levels or not? Yes or No? For ground engineers such an example could be “Does the value for cadmium exceed the the recommended threshold? Yes or No? The decision tree explains every term in laymen’s language, so you don’t need to be a statistician to understand them. All the examples in the decision tree come from medicine because the tree was developed for medics – but the statistical methods they illustrate can be applied to any subject, not just medicine. Three commonly used graphical tools used to describe statistical data are shown here. A bar chart, a pie chart and a box plot. In the decision tree these and other graphical tools are described and the technical terms used in connection with them are explained. But as you may have guessed, not every graphical tool can be used for any data set; here the decision tree helps you decide which graphical method is correct to use. Data sets are described in quantitative terms, where each of the terms used is uniquely defined. More often than not both graphical and quantitative term types of description are required. Tabular tools describe your data set in quantitative terms such as data tables and summaries, frequency, average and mode that are precisely defined. This slide shows an extract from one page of the decision tree which defines, tables, summaries and frequencies. Each of the terms mentioned under summaries on this slide like frequency, relative frequency, mode, mean and so forth is described and illustrated on this page of the decision tree. Worked examples are also included to show you how to find the appropriate values for your data set by showing you how these values have been calculated step by step. The next slide will take you to the home page of the website which contains the decision tree in its membership area. As mentioned before the Decision Tree was designed for medics but can be used for all subjects including geotechnics. The HMRC Excise Notice LFT1 (‘LFT1’ or ‘notice’) deals with requirements under Landfill Tax legislation. The notice is primarily for operators of landfill sites, but is also relevant to waste producers and others involved in the waste management industry. The notice applies to England and Northern Ireland and is usually updated annually, generally to report the annual rise in the rates of landfill tax. The April 2018 version replaced the 2017 version and contained a new clause with potential implications for several parties, including AGS members. It should be noted that the April 2018 version has subsequently been replaced by LFT1: November 2018, which contained further minor updates including the annual rise in the rates of landfill tax. This advice note focusses predominantly on the changes introduced in the April 2018 version but accurately reflects the increases in landfill tax rates introduced in the November 2018 version. Section 24 of the LFT1 (a new clause added in 2018) presented amendments to the definition of a taxable disposal at authorised landfill sites and disposals made at unauthorised sites. It states that Landfill Tax is now due on disposals of material at unauthorised sites in England and Northern Ireland; this also applies to disposals prior to 1st April 2018 that are still on site from the 1st April 2018. An unauthorised site is any site, or area of land, that should have authorisation (a Permit or Licence) from either the Environment Agency or the Northern Ireland Environment Agency, but does not. Slightly different legislation applies in England and Wales. In England, the landfill tax for unauthorised deposits is applied at the standard rate, which is currently £88.95/tonne (£91.35 from 1 April 2019). However, in Wales a higher charge of £133.45/tonne (£137.00/tonne from 1 April 2019) applies for unauthorised deposits of waste. The lower rate of £2.80/tonne (£2.90/tonne from 1 April 2019) for qualifying materials does not apply to disposals made at unauthorised sites. HMRC can also charge an additional penalty of 100% of the landfill tax due. If they decide to prosecute a criminal offence, an unlimited fine and/or up to 7 years in prison are possible. These would be in addition to any costs that might apply to remedy the unauthorised disposal if required by the Environment Agency (EA) and any fines or penalties they may look to impose. There are reports of developers who dispose of spoil arisings from construction sites at unauthorised sites (i.e. to land without a Permit/ Licence, without an exemption or which are not in compliance with the CL:AIRE DoWCoP). The implications of Clause 24.4 for AGS members are that, if they are considered to have facilitated any such disposal, they could be jointly or severally liable for the landfill tax that should have been paid along with the HMRC fine. HMRC and the EA are working together to actively find unregulated disposal sites and there have already been direct approaches to AGS members from HMRC/EA asking for proof to be provided of compliance with the DoWCoP. The regularity of prosecutions and the value of fines is increasing, with enforcement and prosecution replacing the consultative approach previously adopted by the EA. Chubb report that the average fine by the EA has increased dramatically from £5,000 in 2000 to £178,000 in 2017. To illustrate the point, a successful 2017 prosecution for depositing 3,920 tonnes of waste on land in breach of a waste exemption attracted a fine of £19,500. Under the further sanctions outlined above (assuming a criminal prosecution is not pursued), HMRC could potentially apply for £350,000 of landfill tax due and a further fine of £350,000 (100% matching of the landfill tax amount). In addition, the site owner may be instructed to remediate the site and may be liable for associated EA penalties or fines. Although the verification report has always been an essential requirement of the DoWCoP, it has often been overlooked after the Material Management Plan has been prepared and Qualified Person (QP) declaration submitted. Under the current version of the DoWCoP, the verification report is not required to be submitted to the EA nor reviewed by the QP. However, this is likely to change in the upcoming Version 3 of the DoWCoP. As a step in this direction, the current QP declaration form now asks for the identity of the organisation and individual(s) with responsibility for producing the verification report as well as an estimated production date as a reminder that these are required. 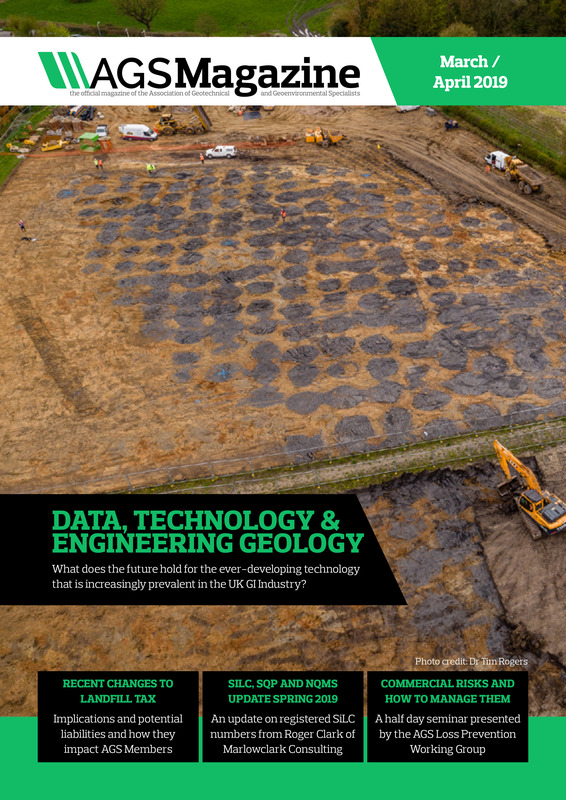 Data, Technology and Engineering Geology – What does the future hold? As it stands the engineering geology life cycle (Figure 1) feels a bit disconnected, especially when it comes to passing data through each phase of the project. This leads to data being lost at each stage of the cycle and ultimately the project never benefiting from all the potential information available (Figure 2). This is somewhat understandable given the number of different parties involved in the collection, processing and interpretation of data and each party focused on different phases of the life cycle. However, this should not be used as an excuse. The lack of technological advancements across the construction industry has also left us lagging behind other sectors of the economy (Figure 3). Figure 3 – Productivity of the construction industry compared with services, manufacturing and the whole economy. 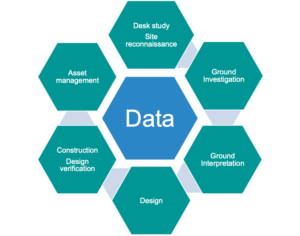 The creation of the AGS data format in 1991 was a significant step to improving data transfer in the ground engineering industry. However, there have been limited further strides forward since then and we are approaching the 30-year anniversary since its introduction. So, what is the solution? 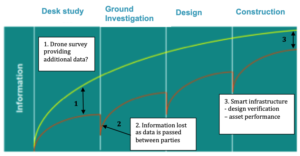 Firstly, we must put data at the centre of the engineering geology life cycle (Figure 4) and map out how data will move through the life cycle and the supply chain. By doing this we ensure data is transferred in the most efficient way possible. This must happen right at the start of the project. The emergence of the Common Data Environment (CDE) facilitates this. The CDE is not new but its application is still limited to a select number of projects, despite the obvious benefits. For one, it provides a single source of truth that all parties can trust in. This is essential for large infrastructure projects such as HS2, Heathrow and Thames Tideway that have tens of thousands of documents across multiple disciplines. A CDE combined with a clear workflow also encourages collaboration and early sharing of information allowing engineering geologists and designers to make more informed decisions earlier in the project life cycle. For this to work we must also ensure there is interoperability between software and a well-defined data taxonomy is agreed across the industry (i.e. an AGS approach across the whole life cycle). It is important that any new technology has a clear tangible benefit. This might be increasing the accuracy of analysis, providing new data, improving efficiency of a task, facilitating better communication between the supply chain or improving safety. By identifying this ‘added value’ at the start of the project and reviewing it throughout ensures that technology is not used just for the sake of using it – something that potentially risks undermining the technology that will assist. Smart Infrastructure – Enables real-time asset data to be obtained that can assist design verification, early identification of potential problems and a predictive maintenance approach. Artificial intelligence (AI) also has huge potential to assist the ground engineering industry. Yes, the ground is notoriously unpredictable making it difficult for AI to make reliable predictions on ground conditions or parameters. But based on historic data, AI could produce generative models that ground engineers could test and revise following targeted ground investigations. We should not shy away from the fact that embracing technology will bring its own challenges. Firstly, we must ensure that people are adequately trained in any new software tools and processes that are available (e.g. borehole logging using tablets). This is no easy task and ignites the debate as to whether the training responsibility lies with the industry or university. What is for sure though is that without the necessary skills to use and interpret the results from new technology we won’t be able to achieve nearly as much as we could. Geologists must also not forget their core skills of critical thinking and interpreting the subsurface. Secondly, we must ensure new technology is robust and can be trusted. It is very easy to produce an all singing and dancing 3D model, but it must also make geological sense. Professor Fookes hinted at this in the First Glossop Lecture where he stated, “Technical innovation must stand the test of time in order to prove its worth”. We must also ensure that new processes and technology are also incorporated into existing industry standards or if required new standards developed. The most difficult challenge of all, is the cultural transformation of the industry. Currently the value of data is not well enough understood, particularly among clients. As it is the clients who hold the purse strings, it is them who can lead the transformation. But it is equally the job of designers and contractors to share success stories and highlight the benefits that technology and effective information management can bring. This is particularly important if benefits are not realised until further down the asset life cycle. It is also crucial that the whole supply chain is singing off the same hymn sheet. 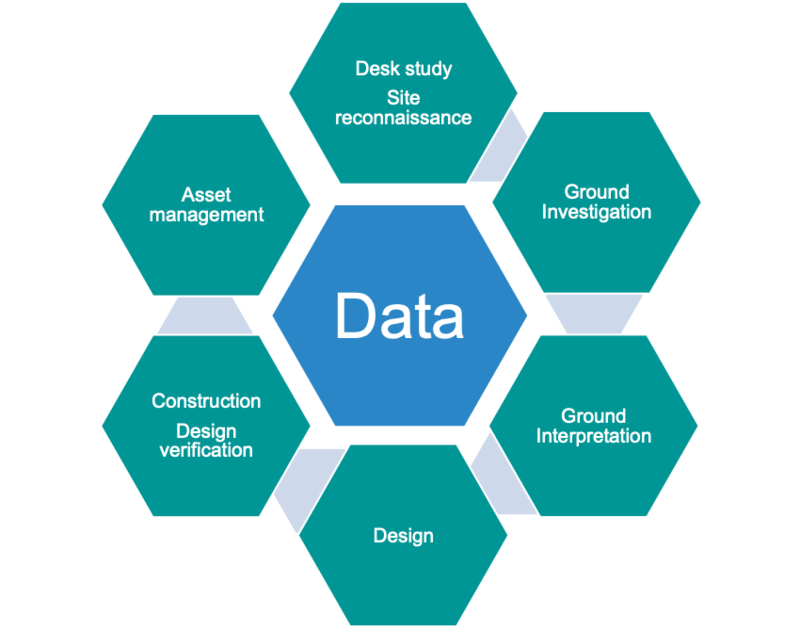 Whether it is providing additional tools to better equip the ground engineer or creating cost savings for the client, the benefits of embracing new technologies and effective information management are clear. What we must do is to be better at sharing these benefits and success stories, particularly with clients. Yes, there will be challenges along the way, particularly winning the hearts and minds of everyone in the industry but these are worth overcoming. We must remember that new technologies should make the life of an engineering geologist easier, not harder and allow us to focus on what we do best – critical thinking and interpreting the ground. It is important that these core skills are not sacrificed as these are things that technology cannot replace. Costain, Vinci, Bachy (CVB) JV for allowing the inclusion of a snapshot of a Thames Tideway East shaft Leapfrog model. BIM model-based design delivery: Tideway East, England, UK. In Schooling, J. and Soga, K. (ed) Proceedings of the Institution of Civil Engineers – Smart Infrastructure and Construction, ICE Publishing, 170(3), 50-58. Bolton, A., Butler, L., Dabson, I., Enzer, M., Evans, M., Fenemore, T., Harradence, F., et al. (2018). Gemini Principles. (CDBB_REP_006)https://doi.org/10.17863/CAM.32260. Gakis, A., Cabrero, P., Entwisle, D. and Kessler, H. 3D geological model of the completed Farringdon underground railway station. In: Black, M, Dodge, C and Lawrence, U. (ed) Crossrail Project: Infrastructure design and construction, ICE Publishing, London, 632pp. Network Rail. 2018. Earthworks Technical Strategy, 67pp. McKinsey Global Institute. Reininventing Construction: A Route to Higher Productivity. February 2017. Schwab, K. and Davis, N. Shaping the Fourth Industrial Revolution. World Economic Forum. 289pp. Farmer, M. 2016. The Farmer Review of the UK Construction Labour Model. Construction Leadership Council (CLC). 76pp. There are now 196 registered SiLCs. The current round of examinations (2019a) has 13 candidates and the previous round (2018b) had 14 candidates. This is somewhat more than the numbers in previous years and indicates that the register is growing and has become a recognised body of professionals who have demonstrated their capability and experience in the brownfield sector. SiLC are the awarding body for the registration of SQPs under the National Quality Mark Scheme (NQMS) and there are currently 97 SQPs. This obviously indicates that not all SiLCs have taken the online conversion course and exam to become an SQP. You have already demonstrated your capability in order to become a SiLC. The online exam is not intended to retest this but instead is there to ensure you have the additional knowledge to be an SQP. All the information you need is in the slides that form part of the online conversion course. You have a relatively short step to becoming an SQP. Most of us have an interest in achieving high standards in the products we deliver to our clients and the services we provide and therefore should be using whatever means are available to us to demonstrate this high standard. The NQMS can do this. Quite a number of clients are reported to be asking for Declarations to be submitted under the NQMS, ie signed off by an SQP. However, it is acknowledged that more publicity of the scheme is needed so that the NQMS becomes more recognised with respect to its benefits. SQPs explaining the benefits of the scheme to their clients will help this. One other local authority has stated that “On receipt of a report with the NQMS mark we would hope to find the review of the report to be straightforward and be able to determine it as acceptable ideally without any queries at all”. However, they go on to say that they “will not take the view that this scheme is a means to streamlining the satisfaction of conditions to the point at which a submitted report is accepted without conditions”. It should be pointed out that this is not the aim of the NQMS. Instead it is intended to raise standards and produce a quality that local authorities can rely on to enable them to utilise their resources as they think appropriate. It is hoped that many more local authorities will see the advantage to them of signposting to the NQMS. Becoming chartered is a prerequisite to applying for SiLC Registration. Thus, those that have a specific interest in the brownfield sector and are looking to progress their careers in this direction need to plan for both becoming a full member of their chosen institution as well as becoming a SiLC. To facilitate this, the SiLC Affiliate Scheme has been launched and details are on the SiLC website (www.silc.org.uk) where there is an application guide and an application form. As indicated in the July-August 2018 edition of the AGS eMagazine, the scheme is of interest to graduates and those who have already progressed their careers beyond graduation but not yet become chartered, to work towards full membership and chartered status of a professional body with the assistance of a professional body adviser, and then progress towards SiLC/SQP registration with the assistance of a SiLC mentor. The scheme can be entered at any level. The aim is to provide an integrated process for those on the scheme with clear objectives utilising the Brownfield Skills Development Framework and an early understanding of the purpose and benefits including CPD, the NQMS and the role of an SQP. Members of the scheme will be designated as SiLC Affiliates, each with a SiLC Affiliate number, thereby demonstrating an individual’s commitment to becoming chartered and, in due course, a SiLC. The annual membership cost of the SiLC Affiliate Scheme is £50 plus VAT and includes 20% discount on the attendance fee for the SiLC Annual Forum. If you, or someone you know, think you may be interested in this scheme then ‘check out’ the details on the SiLC website and, if you like what you see, join the scheme. 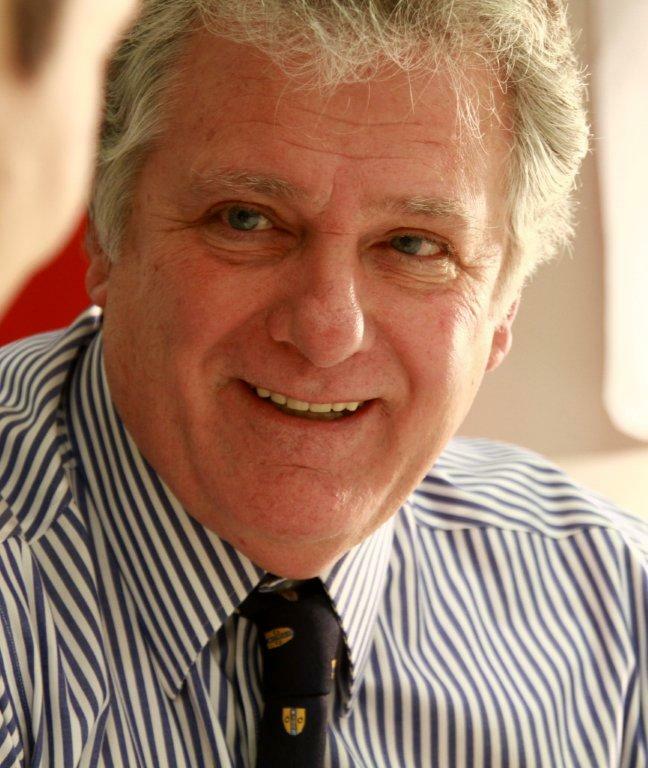 I am a both a chartered civil engineer and a chartered geologist and have worked in the geotechnical industry for over forty years both as a specialist contractor and a geotechnical consultant. I am experienced in most of the facets of geotechnical engineering including site investigation, foundation construction and geotechnical design for many different types of structures and buildings. I have substantial overseas experience particularly the Gulf States, West and East Africa, India, Sri Lanka and Hong Kong. In recent years, I have been involved in major geotechnical design and construction assignments in USA and the Caribbean. I was initially indentured as a civil engineer with a local authority in London and undertook part time education at Westminster College. After a couple of years, I joined a major civil engineering contractor, Costain, and was immediately seconded to their geotechnical company, Foundation Engineering Ltd, who undertook most forms of geotechnical engineering including site investigation, foundation construction and geotechnical design. It was with this company that I was trained in all aspects of geotechnical construction and foundation design. What inspired me into geotechnics initially was the lifestyle of a young engineer travelling all over the UK and working on different sites. 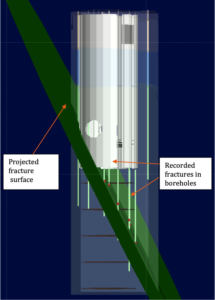 My recollection of a structural engineering lecturer stating that “he could design a concrete and steel structure to perform as required as both had man-made stiffnesses but a geotechnical engineer who has to deal with the ground which has no guaranteed stiffness or behaviour has major issues”. This wetted my appetite for the challenges of ground engineering. As a young geotechnical engineer I was given responsibility to manage teams of drillers, grouters, anchorers and pilers on site and learn the “how to do” of the geotechnical contracting industry. It is from these experiences that I owe my wealth of foundation construction knowledge. I was fortunate to work with and be guided by some of the “leading lights” in the ground engineering industry such as John Jennings, Stanley Serota and in particular Roy Wakeling. With regards to academics, I clearly remember meeting Professor A W Bishop to find out how the Bishop Sand Sampler worked. Professor P Fookes also inadvertently raised my keen interest in geology. Professor Noel Simons of Surrey University was my key mentor who helped to further develop and enhance my geotechnical design expertise to match that of geotechnical construction, this is how I became an all-round geotechnical engineer. A typical day nowadays starts with reviewing overnight emails and dealing with one or some of the following matters which may require desk studies, site visits and collaborative meetings. Litigation type matters. Sometimes these can between a specialist contractor and a main contractor or an owner and contractor but all involve some aspect of ground engineering. Design and Peer reviews for other consulting engineers or contractors. Optioneering reviews to develop the best foundation solution at concept stage and taking this through to construction. Training of young civil engineers, particularly in the areas of geotechnical and geological risk. Undertaking “pro-bono” work for RoGEP, AGS or Ground Forum. I am particularly proud of returning to my “roots” in London, I was involved in the Thames Barrier as a young geotechnical engineer some 40 years ago and since then have worked as a geotechnical engineer in over 30 countries on many significant projects. But I was extremely pleased to lead the Buro Happold ground engineering team that worked on the Lower Lea Valley proposal for the UK Olympic bid which then won and became the 2012 London Olympics. In addition, I was involved at a senior level on the Arsenal Stadium, London Olympic Stadium, the refurbishment of The Cutty Sark and Emirates Cable Car which crosses the River Thames at the O2. These all posed tricky geotechnical issues which required some form of innovation. I consider that I have put something positive back into my “roots”. Overseas I am quite proud of the basement structure which was about 18m deep with a footprint of approximately 22,500 square meters which was designed and constructed for Harvard University in Boston USA. This was arguably the largest single basement structure to be constructed on the East Coast of the USA. The ground conditions comprised Boston Blue Clay over gravel then rock close to the Charles River which, presented major challenges that were met by using European sophisticated ground investigation techniques and high quality laboratory testing provided by Massachusetts Institute of Technology. The challenges of today are quite modest compared to managing a multi-million pound geotechnical consultancy or geotechnical contracting company both of which I have been fortunate to manage. The challenges were and probably still are getting young people interested into geotechnical engineering, finding well educated graduates and training them to become innovative ground engineers. I am a member of the Senate and focus on membership issues. I have been a long serving Treasurer and also Chairman of the AGS and was instrumental in the conception of the AGS and have over 20 years of active participation. I suppose what I enjoy is the comradery which its membership provides and more so the fact that the ethos is all about raising the profile and standards in ground engineering in the UK. The benefits are not only the wealth of publications that are produced which are extremely informative, and also provide sound risk advice. There is also inputting into a collaborative view on where the industry is going. The AGS is now probably the major voice of the ground engineering industry and punches above its weight with clients and local authorities. It provides regular support to those business institutions such as BSi, HSE and other government agencies. I would like to see more collaborative efforts from industry, academics, institutions, local authorities and government departments. Some of these organisations are still somewhat disconnected. Ground Forum continues to develop the above linkages, and I wish them well in their endeavours. There are still many so called “engineers” offering clients ground engineering services outside of their skill and experience base. I would like to see all ground engineering practioners becoming RoGEP registered as this will raise them to a higher level of recognition and enhance the clients’ ability to select a competent and suitably experienced ground engineer for their project. The first AGS Safety Working Group meeting of 2019 took place on Wednesday 23rd January 2019 and the Leader of the AGS Safety Working Group, Adam Latimer of Ian Farmer Associates, has provided an update on the top issues the Safety Working Group are currently discussing. The AGS will be holding a conference on Health, Safety & Environmental topics on 21st November 2019 at the National Motorcycle Museum, Birmingham. The conference will include key note speakers and break-out workshops. The speaker line-up will be announced in the AGS Magazine and on the AGS website in due course. Details of the sponsorship packages can be viewed on the AGS website. The Safety Working Group have recently published a number of guidance documents including Guidance on Slope Climbing Rigs, Manual Handling and Unexploded Ordnance. The Safety Working Group are also progressing with guidance documents on track mats and tracked plant, the H&S Risk Assessment for Ground Investigation and minimum levels of training and competence. There are plans to develop a range of topics centred around health and well-being. The creation of bespoke and clear guidance for ground engineers is a key aim of the Safety Working Group. H&S legislation can be a mine field to navigate and these concise and succinct publications offer some clarity for our members. Compliance with Health & Safety legislation is of critical importance in everything our members do and as such the AGS offers our members free and unbiased guidance on the main issues affecting our industry. AGS Guidance can be downloaded from the AGS website. The AGS Safety Working Group are working to produce a number of articles on trial pitting, PAS 128 (now published), track plant, occupational health and heat stress for future issues of the AGS Magazine. Despite the guidance being free to download from the website, the AGS magazine offers an invaluable mechanism to promote the work of the AGS SWG and provide the guidance to a wider audience. The AGS is always looking at ways to raise awareness within our industry and up-to-date guidance and magazine articles are an excellent vehicle to convey our message. The AGS continues to work collaboratively with all our members and other trade association groups to improve our industry. The AGS Safety Working Group are in the early stages of investigating the possibility of a Health, Safety and Environmental Awareness Workshop to Undergraduates. Work is ongoing to establish the current level of understanding on university geosciences courses and whether a workshop would be beneficial. The Safety Working Group always welcomes new members and any feedback from the membership on hot topics that they wish to raise and encourage, any near misses and incidents to be shared to the wider industry, so we can strive to making our industry safer. Please send any feedback to ags@ags.org.uk. All Members of the Association of Geotechnical and Geoenvironmental Specialists are entitled to free chemical and contractual advice through the use of Loss Prevention Committee Members, Marquis & Lord and Beale & Co.
For advice on chemical safety and best practice, Marquis & Lord will provide 30 minutes of free advice to all AGS Members. 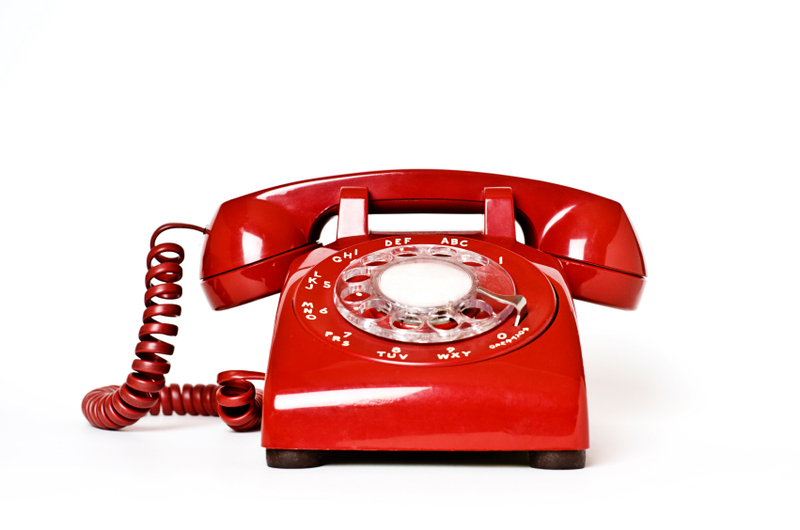 Additionally, if you’re an AGS Member and are looking for legal advice, please contact Beale & Co and ask quote ‘AGS Helpline’ where the first 15 minutes of legal advice will be free of charge. If you have any queries regarding AGS Data Format, there is a discussion forum on the AGS Data Format website, where queries can be posted and answered by the Data Format team. For all other queries, please email ags@ags.org.uk, we will then forward your email to the relevant AGS Working Group.